Many people promote the idea that for health we need to do the same habits every day consistently. This seems quite logical in many areas of health such as dental hygiene for example. However, for women who are in their fertile years, the Yin and Yang fluctuations happening monthly with the menstrual cycle ask that we accommodate with subtle shifts in our diet and lifestyle. Do you notice changes in your body at different times of your menstrual cycle? Do you crave certain foods at different times of the month? 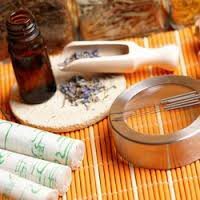 The wisdom of Traditional Chinese Medicine (TCM), dating back thousands of years, details four phases of the menstrual cycle and how they affect women’s health. Below I’ve added diet and lifestyle tips to help you synch your lifestyle with your menstrual phase for improved health. Acupuncture can also greatly assist with symptoms associated with each phase. **please note that for women who have shorter or longer cycles, you will still experience these phases but the number of days for each will be different. For more detailed information on how to understand your menstrual cycle I recommend reading the very informative book, Taking Charge of Your Fertility by Toni Weschler. This phase starts from the first day (Day 1) of heavy bleeding or flow (not spotting). Due to the loss of blood, some women naturally feel tired at the start of their menses. Some spend the day in bed. Generally, more rest is needed at this time. During this phase the endometrial lining is shed and then rebuilt. The endometrial lining is building itself up in preparation for conception. At this time it is important for women to eat Blood-building foods to assist the body in creating a rich endometrial lining which may become nourishment for a developing fetus. To balance the body during this phase, eat more Blood-building foods such as dark leafy green vegetables and mineral-rich organic foods such as beets, carrots, black cherries, kale, spinach, hawthorne or goji berries, alfalfa, dates, apricot, prunes, wheatgrass and nettle. During this phase which starts at the end of the menstrual flow, the ovaries are preparing several folicles (eggs) for ovulation. The body becomes high in estrogen at this time. In TCM estrogen is a Yin substance. During this phase it is important that the body has enough Yin energy to create fertile mucous (looks like egg whites) which assist the sperm in travelling through the cervix to meet the egg. To help the body build Yin substance it is helpful to eat Yin-building foods such as persimmon, lettuce, radish, grapes, berries, watermelon, string beans, seaweed, and mung bean sprouts. Actual ovulation lasts about a day, normally day 14 or 15 in the cycle. The shift in hormones that occurs on this day causes the body to go from Yin to Yang. Yang = heat and it is at this time that a woman’s body temperature will rise by 0.5 degrees Celcius which is a key indication that ovulation has taken place. This increase in Yang energy should continue until the end of the cycle. At this time it is important to support the Yang energy of the body. To support this temperature increase it is important to eat foods that have more Yang (warm, invigorating) energy. You may have cravings for spicy warm foods such as cinnamon and ginger and feel worse from eating cold foods like bananas. TCM recommends foods and herbs which “Nourish Essence” at this time such as walnuts, wheatgrass, ginseng, rhemannia root, chlorella, spirulina, black sesame seeds, raspberries, and blackberries. During this phase the Yang or warm energy is still normally present and the focus now becomes moving the energy. Many women notice they have more energy during the later half of their cycle and it is very beneficial to use this energy to do exercise. Lack of exercise at this time can lead to stagnation in the Liver Qi channel resulting in breast tenderness, clotted blood flow and painful cramps. A diet high in trans fats, processed foods and unhealthy chemicals can burden to the Liver channel. If the Spleen energy is weak there may be heavy bleeding (Spleen controls Blood) or early menstruation. Exercise combined with eating whole foods and healthy fats at this time will reduce breast tenderness, clots in the blood flow and cramping. Liver Qi moving foods include spearmint, garlic, fennel, cayenne, ginger, black and white pepper, cloves, vinegar, basil, onions, leeks, scallions. Use of moxabustion can also be used to “warm the Spleen” in cases of heavy or early bleeding. Do you change your lifestyle according to the time of the month? Love to hear your comments and questions. « Is My Spleen in Trouble? How to tell.